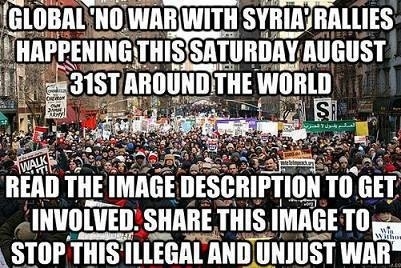 Why voters are not surprised with the announcement of the words “Chemical Weapons” the war mongering countries start to go into overdrive. Remember the words Weapons of Mass Destruction (WMD) from a Labour Government now it has come to blows a Coalition Government has decided to put on their war paint already. How ironic that USA takes UK for granted. UK parliament voted and the people’s power who won the day on Thursday 22 August 2013 parliament voted against the wishes of the government and sided with the voters. 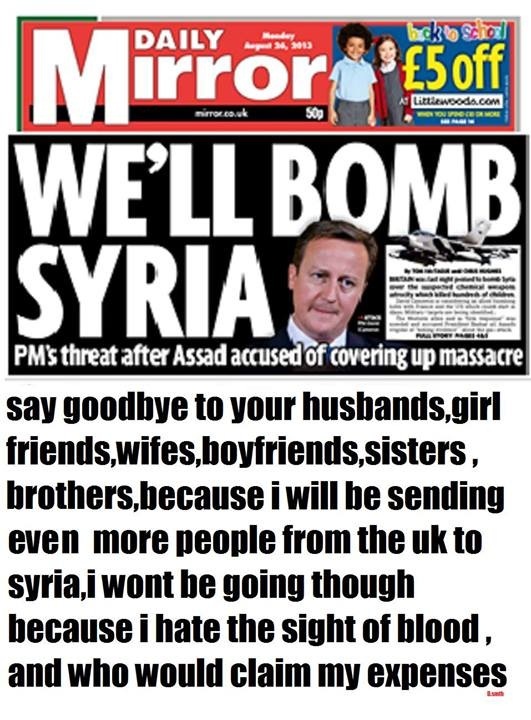 Hence UK will no longer take part in the intervention in Syria as both Coalition and Labour amendment motions were defeated which has done a lot of damage to Cameron’s leadership to the world and his own party which leads the pathway clear for Theresa May to formally challenge David Cameron‘s leadership in the Conservative Party. Three Conservative government ministers missed the vote and have apologised to Prime Minister David Cameron for their absence. Below is a full list of the MPs who voted against the government motion authorising the possible use of military force against Syria. The motion was defeated by 285 votes to 272. Alliance Party (1) Naomi Long. Conservatives (30) David Amess, Steve Baker, Richard Bacon, John Baron, Andrew Bingham, Crispin Blunt, Fiona Bruce, Tracey Crouch, David TC Davies, Philip Davies, David Davis, Nick de Bois, Richard Drax, Gordon Henderson, Philip Hollobone, Adam Holloway, Dr Phillip Lee, Dr Julian Lewis, Tim Loughton, Jason McCartney, Nigel Mills, Anne Marie Morris, Andrew Percy, Sir Richard Shepherd, Sir Peter Tapsell, Andrew Turner, Martin Vickers, Charles Walker, Chris White, Dr Sarah Wollaston. Green Party (1) Caroline Lucas. Labour (224) Diane Abbott, Debbie Abrahams, Bob Ainsworth, Douglas Alexander, Heidi Alexander, Rushanara Ali, Graham Allen, David Anderson, Jonathan Ashworth, Adrian Bailey, William Bain, Ed Balls, Gordon Banks, Kevin Barron, Hugh Bayley, Margaret Beckett, Anne Begg, Hilary Benn, Joe Benton, Luciana Berger, Clive Betts, Gordon Birtwistle, Tom Blenkinsop, David Blunkett, Kevin Brennan, Lyn Brown, Nicholas Brown, Russell Brown, Chris Bryant, Karen Buck, Andy Burnham, Liam Byrne, Alan Campbell, Ronnie Campbell, Martin Caton, Jenny Chapman, Katy Clark, Tom Clarke, Vernon Coaker, Ann Coffey, Yvette Cooper, Jeremy Corbyn, Mary Creagh, Stella Creasy, Jon Cruddas, Alex Cunningham, Jim Cunningham, Tony Cunningham, Margaret Curran, Simon Danczuk, Alistair Darling, Wayne David, Gloria De Piero, John Denham, Jim Dobbin, Frank Dobson, Thomas Docherty, Frank Doran, Stephen Doughty, Jim Dowd, Gemma Doyle, Jack Dromey, Michael Dugher, Angela Eagle, Maria Eagle, Clive Efford, Julie Elliott, Louise Ellman, Natascha Engel, Bill Esterson, Chris Evans, Paul Farrelly, Frank Field, Jim Fitzpatrick, Robert Flello, Caroline Flint, Paul Flynn, Hywel Francis, Mike Gapes, Barry Gardiner, Sheila Gilmore, Pat Glass, Mary Glindon, Roger Godsiff, Paul Goggins, Helen Goodman, Tom Greatrex, Kate Green, Nia Griffith, Andrew Gwynne, David Hamilton, Fabian Hamilton, Harriet Harman, Tom Harris, Dai Havard, John Healey, Mark Hendrick, Stephen Hepburn, Meg Hillier, Margaret Hodge, Kate Hoey, Jim Hood, Kelvin Hopkins, George Howarth, Tristram Hunt, HuwIrranca-Davies, Glenda Jackson, Sian James, Cathy Jamieson, Dan Jarvis, Alan Johnson, Graham Jones, Helen Jones, Kevan Jones, Susan Elan Jones, Tessa Jowell, Eric Joyce, Gerald Kaufman, Liz Kendall, Sadiq Khan, David Lammy, Ian Lavery, Mark Lazarowicz, Chris Leslie, Emma Lewell-Buck, Ivan Lewis, Ian Lucas, Fiona Mactaggart, Khalid Mahmood, ShabanaMahmood, SeemaMalhotra, John Mann, Gordon Marsden, Steve McCabe, Michael McCann, Kerry McCarthy, Gregg McClymont, Andy McDonald, John McDonnell, Pat McFadden, Alison McGovern, Jim McGovern, Anne McGuire, Ann McKechin, Iain McKenzie, Catherine McKinnell, Michael Meacher, Alan Meale, Edward Miliband, Andrew Miller, Madeleine Moon, Jessica Morden, Graeme Morrice, Grahame M. Morris, George Mudie, Jim Murphy, Paul Murphy, Ian Murray, Lisa Nandy, Pamela Nash, Fiona O’Donnell, Chi Onwurah, Sandra Osborne, Albert Owen, Teresa Pearce, Toby Perkins, Bridget Phillipson, Stephen Pound, Lucy Powell, Nick Raynsford, Jamie Reed, Steve Reed, Rachel Reeves, Jonathan Reynolds, Linda Riordan, John Robertson, Geoffrey Robinson, Steve Rotheram, Frank Roy, Lindsay Roy, Chris Ruane, Joan Ruddock, AnasSarwar, Andy Sawford, Alison Seabeck, Virenda Sharman, Barry Sheerman, Jim Sheridan, Gavin Shuker, Dennis Skinner, Andy Slaughter, Andrew Smith, Nick Smith, Owen Smith, Jack Straw, Graham Stringer, Gisela Stuart, Gerry Sutcliffe, Mark Tami, Gareth Thomas, Emily Thornberry, Stephen Timms, Jon Trickett, Derek Twigg, Stephen Twigg, ChukaUmunna, Keith Vaz, Valerie Vaz, Joan Walley, Tom Watson, Dave Watts, Dr Alan Whitehead, Chris Williamson, Phil Wilson, David Winnick, Rosie Winteron, Mike Wood, David Wright, Iain Wright MP. DUP (6) Gregory Campbell, Nigel Dodds, Jeffrey Donaldson, Brian Donohoe, Jim Shannon, Sammy Wilson. Liberal Democrats (9) Paul Burstow, Mike Crockart, Andrew George, Mike Hancock, Julian Huppert, Dan Rogerson, Andrew Stunell, Ian Swales, Sarah Teather, Roger Williams. Plaid Cymru Jonathan Edwards, ElfynLlwyd, Hywel Williams. SDLP (3) Mark Durkan, Dr Alasdair McDonnell, Margaret Ritchie. SNP (6) Stewart Hosie, Angus MacNeil, Angus Robertson, Mike Weir, Dr EilidhWhiteford, Pete Wishart. If we are to ask yet more of the most exceptional of our country’s men and women those in our forces it must be on the basis of a decision that has complete moral authority. In a series of tweets the Labour leader said that parliament must “not write a blank cheque” and David Cameron must report back to MPs after the UN weapons inspectors have reported from Syria. 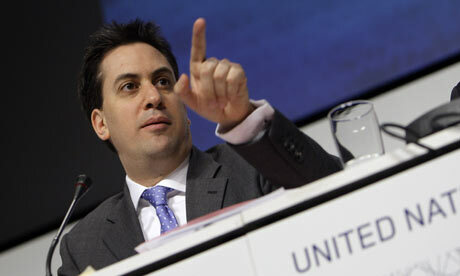 “Parliament must tomorrow agree criteria for action, not write a blank cheque,” the Labour leader tweeted. The intervention by Miliband, who told the prime minister late on Tuesday night that Britain should take the Syrian crisis to the UN security council, shows the significance of the call from Ban Ki-moon, the United Nations secretary-general, for inspectors in Damascus to be given more time. Britain has praised the work of the inspectors but says it will not be bound by them. Miliband’s move, which suggests Labour believes military action should be delayed until the inspectors have reported, means that the coalition potentially faces a tight vote when the debate ends at 10.00pm on Thursday night. Scores of Tory MPs are raising concerns about the planned military action. They could abstain, or vote against, the government motion. They are unlikely to vote with Labour but could abstain on the Labour amendment. But, crucially, the Labour moves suggest that Miliband will instruct MPs to vote against the government motion. This presents the prime minister with a formidable challenge. “Believes that the United Nations Security Council must have the opportunity immediately to consider that briefing and that every effort should be made to secure a Security Council Resolution backing military action before any such action is taken. Before any direct British involvement in such action a further vote of the House of Commons will take place. Intriguing US President Barack Obama has said he has not yet decided on a plan for retaliatory action against Syria. Damascus seems quieter than on trips I made here earlier this year, though there’s still plenty of traffic in the centre. Its people are awaiting decisions that are being taken elsewhere. But another news agency, Novosti, quotes a senior naval command spokesman as saying that this is just a planned rotation, unconnected with Syria. Critics have questioned what purpose a limited strike on Syria could serve, but Mr Obama told the Public Broadcasting Service (PBS) it would send the government of Bashar al-Assad “a pretty strong signal that it better not [use chemical weapons] again”. 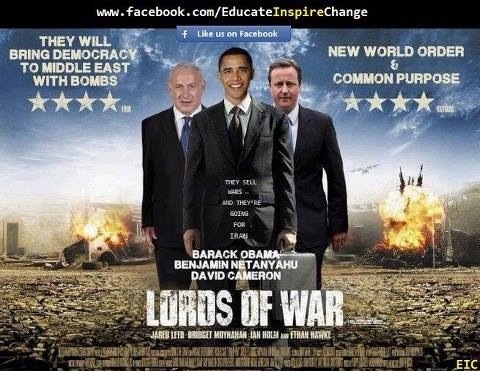 The US has yet to produce the intelligence it says shows Mr Assad’s government is guilty of using chemical weapons, and UN weapons inspectors are still investigating inside Syria. Syria denies using chemical weapons and blames opposition fighters for the attack near Damascus on 21 August, which reportedly killed hundreds of people. “Isn’t it enough, all the violence and fighting that we already have in the country, now America wants to bomb us, too?” one 45-year-old woman, entering Lebanon with her five children, told AP. In Damascus senior military commanders are reportedly staying away from buildings thought likely to be targeted. You “could hear a pin drop” at one of them, a local resident said. President Obama told PBS that the US had “not yet made a decision, but the international norm against the use of chemical weapons needs to be kept in place, and hardly anyone disputes that chemical weapons were used in a large scale in Syria against civilian populations”. “We’ve looked at all the evidence, and we don’t believe the opposition possessed chemical weapons of that sort,” he said. Mr Obama looked cautious and spoke in a measured way, and he was clearly concerned about getting Congress on board as well as the American public. More than 110 members of Congress have signed a letter formally requesting that Mr Obama seek congressional approval for any action in Syria. The use of force without a sanction of the UN Security Council would be a “crude violation” of international law and “lead to the long-term destabilisation of the situation in the country and the region”, Mr Lavrov has said. For the UK, there needs to be a UN “moment” – despite the fact that UN action will likely again be blocked by Russia or China. But even without UN backing the US and its allies have been clear that they see the military option still open to them, our correspondent says. Since Labour became the official position party of government how many times have we all read the news in both the press and multimedia about who is in charge of the Labour Party, trade unions or the members was the first to hit the headlines coupled by senior shadow cabinet members speak out against the Labour leadership when Ed Miliband on holidays. No sooner as Ed Miliband return from holidays someone threw an egg at him which kind of reminds us the entire incident of Lord Prescott was deputy prime minister the only difference Ed Miliband laugh it off. I concur that all senior Labour parliamentarians have some concerns and they could have dealt with it better but equally members have concerns too when the leadership of the party does not come across more on the attack on government policies. Over the bank holiday weekend I had the opportunity to reflex over Ed Miliband speech to activists in Edinburgh I must it is no difference when the conservatives were in opposition as my member calls there were about two leadership change. Did this make any difference to the public and resounding yes the public went on to vote for another term of a Labour Government. The Moral of this story is when a party is in disarray the public are generally are put off by political parties coupled by the sensation of the press reporting negatives of any political party. If this continues many in the party can see a low turn out in elections as the ordinary joe blog just reads and listens to the media. To all the critics of Labour Party if the hard left thinks that Labour will return to renationalation and see the return of the old clause 4 of Labour constitution dream on will be the reply from some quarters of the party which plays into the conservatives during the elections. Many political parties understand in today’s world of politics there are constantly changes and the needs of the public aspirations have change. 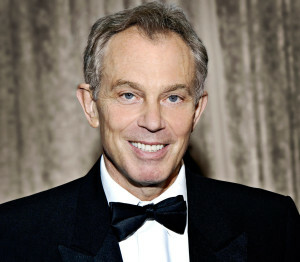 In Ed Miliband speech when he became leader he said he does not want to emulate Blair or Brown which he made very clear and he needed to stamp his mark by introducing One Nation Labour. Intriguingly recently the press and media started with their negative campaign against One Nation Labour thinking it will divide party members which only unite many party members who remembered when Labour were in opposition in 1980s. Public criticism of Ed Miliband‘s leadership by senior Labour figures is creating an impression of “toxic disunity” and risks handing the next election to the Tories, according to party grandee Dame Tessa Jowell. Writing in the Observer, she calls for an end to weeks of sniping against the Labour leader by high-ranking figures including former deputy prime minister Lord Prescott, saying that disloyalty could break the party and that “publicly offered constructive criticism is only ever destructive”. The former minister writes that people “who should know better” have helped the Tories engineer a “so-called summer crisis” for Labour by offering public rather than private criticism. In an appeal for discipline, Jowell writes: “There are complementary rights and obligations when it comes to the leadership of the Labour party: anyone may stand for the leadership, but once the winner is chosen, he or she is entitled to the loyalty and support of the party at every level. While Labour sources concede that senior figures on the frontbench should have been more active in recent weeks, there is anger with the likes of Prescott and to a lesser extent David Blunkett for going public to question Miliband’s performance less than two years from a general election. Prescott said last weekend that Labour had “massively failed” to get its case across over the summer and urged the Labour leader to get rid of shadow ministers who were not pulling their weight. 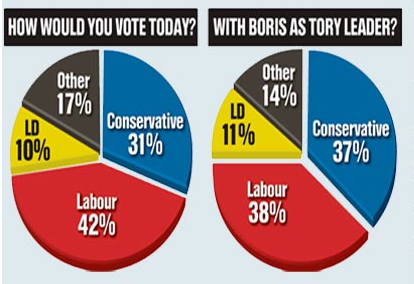 The latest Opinium/Observer poll shows Labour has maintained a seven percentage point lead over the Conservatives. 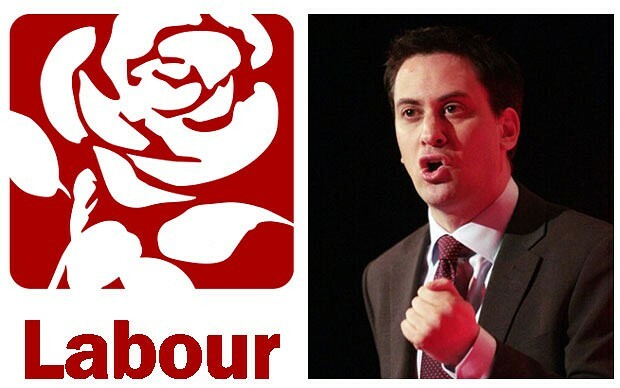 Miliband’s party is unchanged compared with a fortnight ago on 36%, with the Conservatives also unchanged on 29%. The Liberal Democrats are down one percentage point on 8% and Ukip up one percentage point on 18%. But Miliband’s personal net approval ratings will cause alarm in Labour circles, having slipped five to -31 over the past two weeks, while Cameron’s now stands at a less alarming -18. While there are strong rumours of an imminent shadow cabinet reshuffle, Miliband’s aides say no decisions have been made on the timing or the names of those who will be moved. He is being advised by some around him to leave the changes until after next month’s party conference in Brighton. This week Labour will attempt to get back on to the front foot by highlighting what it says are the dangers to charities and campaigners posed by the lobbying bill now passing through parliament. The bill would increase regulation of “third party” campaigners (that is, not political parties) and restrict their activities, drawing a wider range of organisations into the regulatory regime for campaigning during elections, while reducing the amount they can spend in this period. Amid signs that there may be a government U-turn on parts of the bill, Labour is warning it will harm the ability of charities, campaign groups, trade unions, think tanks, blogs and others to contribute to public debate at a time when we should be encouraging greater participation, not putting barriers in place. The Labour Party is set to lay into the government’s expansive reforms of the benefits system later today. 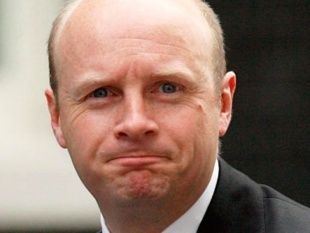 Shadow work and pensions secretary Liam Byrne claimed that taxpayers are on course to lose £1.4 billion by 2015 as a result of the changes. In a speech yesterday, Bryne will outline a number of Department of Work and Pensions schemes that Labour believes are out of control. Universal Credit and the bedroom tax are expected to take a drumming from the MP. Already the nation cannot find one bedroom properties as both successful governments failed to build decent social housing. Furthermore many people have seen deep cuts to our public services and some social housing agencies gone into administration because they cater for the demand. 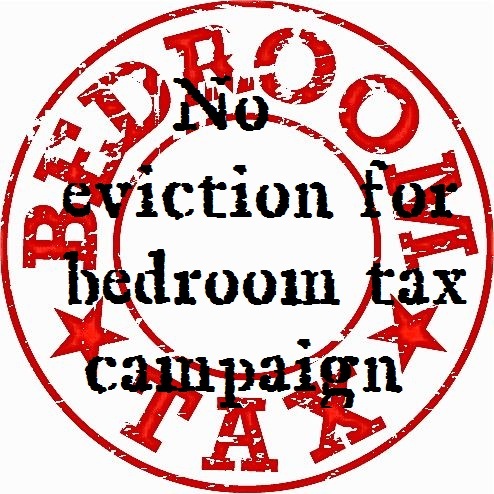 All the major political parties will be holding their conferences which a number of party members are calling on all party delegates to support any resolutions to repeal the bedroom Tax. 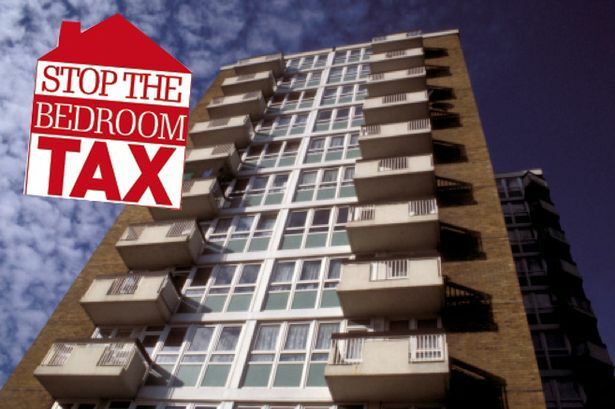 Furthermore all the major political parties getting ready for the forthcoming European and Local Elections in 2014 activists are calling on all political parties to moving a resolution to repeal the Bedroom Tax. In reality, those tenants are rarely leaving their extra bedroom empty. They are just failing to follow the government’s strict guidelines on when children should be required to share a room. This is a tax targeted at the poor and can result in someone being evicted from a long-standing home. 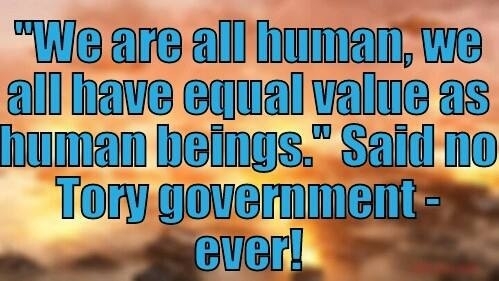 Isn’t it against human rights or irrational? The pessimistic answer has been that judges are reluctant to intervene in what they perceive to be political decisions, and I would be surprised if any judge found that the bedroom tax as a whole is unlawful. Where challenges have succeeded in the past, it is usually where judges decide that government policy unlawfully discriminates, often against the disabled. Sadly, the Administrative Court’s decision on the bedroom tax delivered on July 30 2013 – R (MA) v Secretary of State for Work and Pensions – shows that I was too optimistic. The challenge – brought by 10 families each with a disabled adult or child in their household – was solely on the basis of disability discrimination, not against the whole policy of the bedroom tax. However, two senior judges found that the bedroom tax was lawful even though it might penalise families with a disabled member. When the legal context of this decision is considered, it is even more surprising. A case in 2012 about housing benefit restrictions in the private rented sector – R (Burnip) v Secretary of State for Work and Pensions – resulted in the Court of Appeal deciding the restrictions are not a fair or proportionate response if a disabled child is required to share a bedroom. The government’s response, announced shortly before the bedroom tax came into operation in April 2013, was to give local authorities some flexibility when considering whether a disabled child should share a room with a sibling. So, no automatic exemption for disabled children, but at least some possibility of their own room. Why not the same flexibility for disabled adults? The circumstances of the families who brought the bedroom tax challenge are poignant, and make the case for flexibility. Jacqueline Carmichael, aged 41, has spina bifida and needs a special hospital-type bed in her bedroom. She cannot share that bed with her husband, who is her full-time carer. His caring responsibilities mean that he cannot work, which is why the couple of claim housing benefit. There is no space in their bedroom for an additional bed for him to sleep in. Since they have a two-bedroom flat, he sleeps in the other room. Their housing benefit has been cut by 14 per cent. Richard Rourke is a wheelchair user with spinal arthritis, sciatica and other disabilities. He lives in a three-bedroom bungalow. His daughter Rebecca, who also uses a wheelchair, is currently at university but returns home during the holidays and some term-time weekends. He is assessed as only needing one bedroom and his housing benefit has been cut by 25 per cent. The two judges found that the rules governing the bedroom tax could, potentially, discriminate against families containing disabled adults. There were some very technical legal arguments as to what type of discrimination it constituted. The judges went on to find that any disability discrimination was justified. The latter point refers to ministers saying that families affected by the bedroom tax should take in a lodger or find extra work. The judges were anxious to say that they “have no public voice for or against” that strategic aspiration, not being elected politicians. However, it does seem that they were prepared to take the government’s very harsh approach at face value. Having decided that the bedroom tax is an example of “high policy,” they concluded that the tax, and its discriminatory effects against disabled people, was not “manifestly without reasonable foundation” and so they were not going to intervene. They tried to sweeten the pill by emphasising the role of discretionary housing benefit (DHP), suggesting that the government should issue regulations setting out how local authorities should use it, rather than leaving it to general discretion. But they ignored the key point made by local authorities – the amount given to local authorities to distribute as discretionary housing benefit is not enough to make up the shortfall caused by the bedroom tax. The political context of the bedroom tax, and its implications for disabled adults, was not really considered. Disabled adults who receive housing benefit face several cuts to their benefits which are supposed to cover their basic subsistence. The introduction of universal credit is likely to make most welfare claimants poorer. The benefit cap has now come into force and affects large families by cutting their housing benefit even above the bedroom tax limits. Everyone is paying higher fuel bills, but rises in fuel prices hit disabled people disproportionately. One-hundred per cent council tax benefit has been abolished so claimants have to find money from their other benefits to contribute to council tax. And many disabled adults will have found themselves Atos-ed or declared fit to work, so the amount paid in benefit will have decreased by around a third. Noting the attack on disabled people by this government, which is determined to cut the welfare state, should have been part of the “high policy” that the judges were so keen on avoiding. 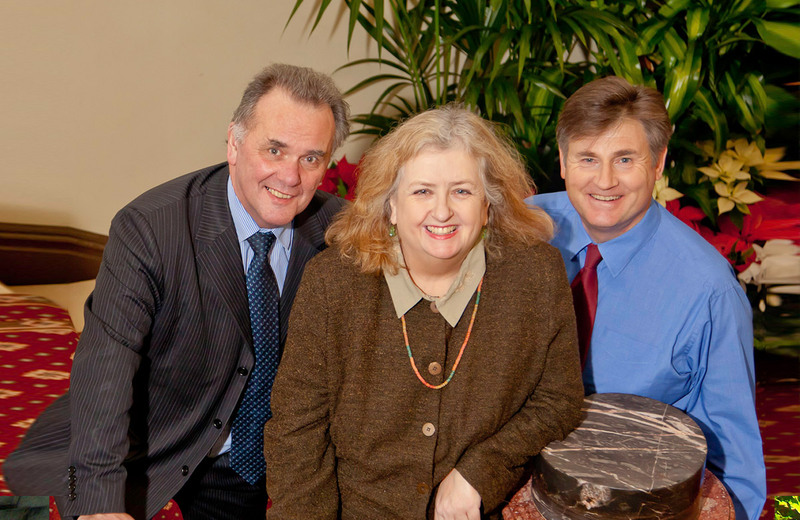 The families are in the process of appealing and may have more success in the Court of Appeal. It is hard to see how the government can justify a more flexible approach for disabled children but not for disabled adults. However, this disappointing judgement reminds us not to have faith in judges. 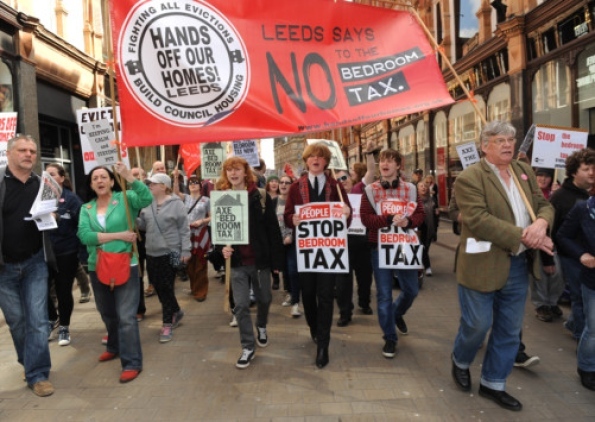 If the bedroom tax is going to be defeated, it will be through political means, with large numbers of local authorities, tenants and others acting in solidarity, making the point that it is just not workable and a tax on the poor. 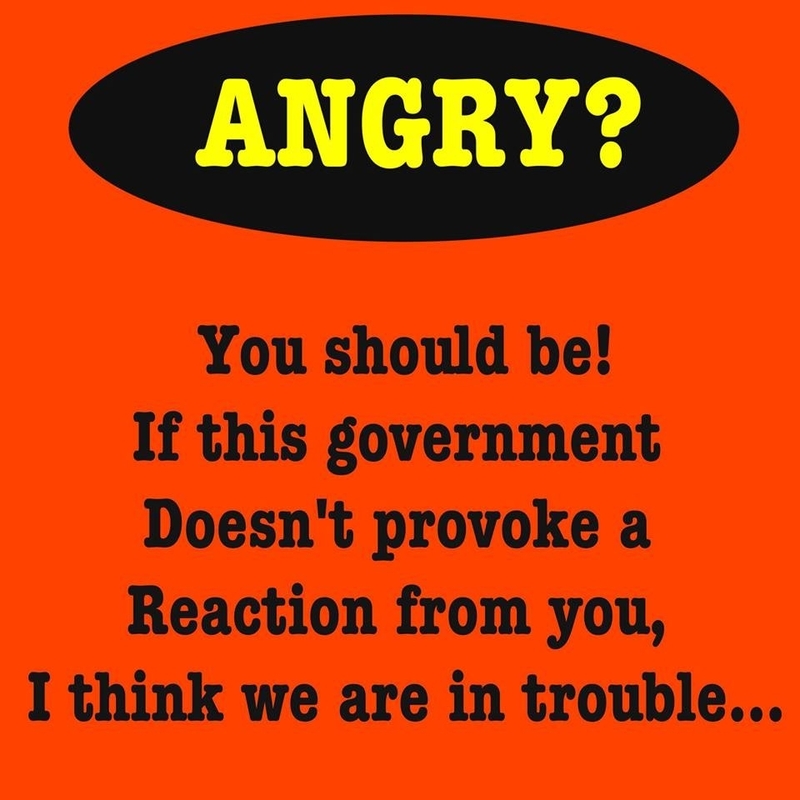 The government needs to be shamed into repealing it. A first step would be for the Labour Party to commit itself to repealing the tax but – even more shamefully – Ed Miliband and Ed Balls refuse to give that commitment. Intriguingly the caricature of British society favoured by multimillionaires David Cameron and George Osborne shows feckless claimants sitting on their sofa or snoozing in bed as they wait for their benefits to be paid. Everyone knows that this is an unfair portrayal, but even critics of the conservative coalition government see the size of the benefits bill and believe that something must be done. Benefits are certainly a burden on society, but the key questions are why they are paid and who benefits from them. GMB general secretary Paul Kenny’s comments in response to the Council of Mortgage Lenders report that 40,000 mortgages worth £5.1bn were advanced to buy-to-let speculators in the second quarter of this year are very pertinent to these questions. Housing benefit in respect of rent payable to private landlords owning over 1.5 million homes is little more than a direct state subsidy to the private sector. And the recent spurt in mortgages offered to buy-to-rent landlords will add a further 16,000 households to the housing benefits merry-go-round. Claimants, whether unemployed or in low-paid jobs, cannot afford the extortionate rents demanded by private landlords, but they have nowhere else to turn since both the Tories and new Labour pulled the plug on council housing. This was beneficial to the tenants involved, but, in a situation where the supply of new council homes for rent dried up, it increased council housing waiting lists. Sales to individual council tenants were followed by wholesale stock transfers to the private sector, forced by government refusal to fund property upgrades, which has exacerbated the situation. Neither the government nor the Labour opposition has been willing so far to promise the necessary decisive action to kill two birds with one stone – meet housing need and reduce unnecessary spending on cosseting private landlords. Indeed, a massive council housebuilding campaign could add a third bird to the lethal stone’s account by kick-starting the construction industry, providing tens of thousands of jobs and boosting government tax receipts. Kenny wants Labour to pledge a programme to build new homes to let at affordable rents across the country, which would undoubtedly be a vote-winner. So what stands in the way of Ed Miliband making such a bold commitment? The GMB leader’s reference to the need for compulsory purchase orders to be applied to build social housing if 177,000 new units in London with existing planning permission are not started within six months of the general election provides a clue. Compulsory purchase orders and a mass council housebuilding campaign strike at the heart of the neoliberal orthodoxy that housing provision should be left to market forces. 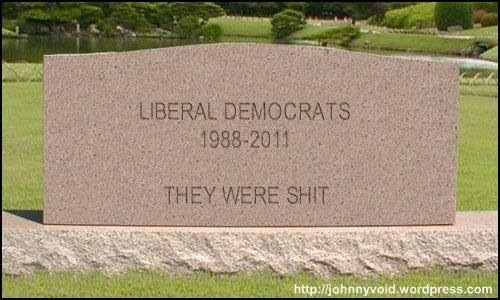 That has always been the fundamental philosophy of the Tory and Liberal Democrat parties. 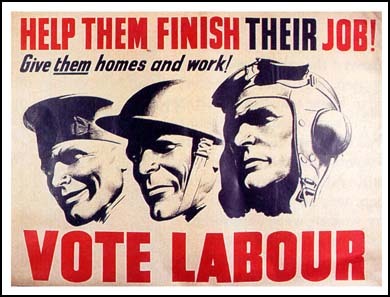 But Labour, for three decades after the second world war, had a different approach, seeing local authority housing as essential to working class security and social cohesion. Miliband’s One Nation Labour, in common with its new Labour forerunner, remains obsessed with the invisible hand of the market, even though its shortcomings are plain for all to see. Breaking with the private-is-best policy for housing is an essential prerequisite to meeting people’s needs and ending the state spoonfeeding of parasitic buy-to-let landlords. Whilst millions of people may be languishing on council housing waiting lists, but house-building companies Persimmon and Bovis profits are booming, so all is well with the housing market. That is the message delivered by TV newsreaders whose features soften into smiles to indicate that such revelations are sunshine stories. The same goes for news items indicating a rise in-house prices – beneficial for those who already own their homes but less so for people looking to buy somewhere to live. According to IHS Global Insight, average house prices will rise by 3 per cent over the rest of this year, possibly increasing next year by 7 per cent. At the same time, average pay rises are stagnant at 1 per cent, with workers’ incomes having fallen by 5.5 per cent in real terms since the Tories and Liberal Democrats took office in 2010. Compare that miserable situation with the 40 per cent profits leap from £97 million to £135m in the first half of 2013 enjoyed by Persimmon and the 19 per cent jump to £18.6m for Bovis. House prices have been boosted by government schemes such as Funding for Lending and Help to Buy, which effectively provide state aid to the housing industry. But these mechanisms have also encouraged buy-to-let parasitism where speculators are helped to enrich themselves by private tenants paying the mortgages on the extra properties they take on. Even former Bank of England governor Mervyn King has spotted the inflationary danger posed by Help to Buy and suggested that the scheme should be discontinued in 2017 when it is due for review. Government ministers and the Bank of England have trumpeted the case for lower interest rates, asserting that this will encourage the private sector to invest. But British private companies are already awash with cash, sitting on liquid assets of over three-quarters of a trillion pounds that they refuse to commit to boosting the economy. Low interest, expressed in manageable mortgage rates, can provide some respite to working-class families who are buying their own homes while struggling to cope with higher living costs. However, chastened by previous housing bubbles, far fewer homeowners are tempted to borrow against perceived equity in their properties to finance major expenditure on cars, household goods and so on. But this is the government’s only means of encouraging economic activity because of its obsession with cutting public expenditure. Instead of appreciating the necessity of providing everyone with somewhere to live, ministers see housing as just another market in which there will be winners and losers and major profits to be gained by the big corporations that dominate the sector. Housing charity Shelter’s recent warning that fewer than half the houses necessary to tackle a “chronic shortage of homes” in England are being built each year has fallen on deaf ears. The Labour opposition has spoken out against the exorbitant cost of letting fees imposed on tenants, but, as usual, it falls short of a pledge to end the practice. Similar reticence to move away from the neoliberal consensus holds it back from pledging to tackle the 5 million-strong council housing waiting list through a determined campaign to drive up provision of local authority homes to rent. This would put housing need before corporate greed and also stimulate economic activity by putting construction workers into long-term employment. This must be a first for the LibDems Nick Clegg is facing a major revolt by the party’s grassroots over his support for the Bedroom Tax. The motion condemns the Coalition for ramming through the Tax without recognising the needs of the disabled, and calls for financial help for those affected. The Bedroom Tax, introduced in April, docks housing benefit of any household with a spare bedroom. 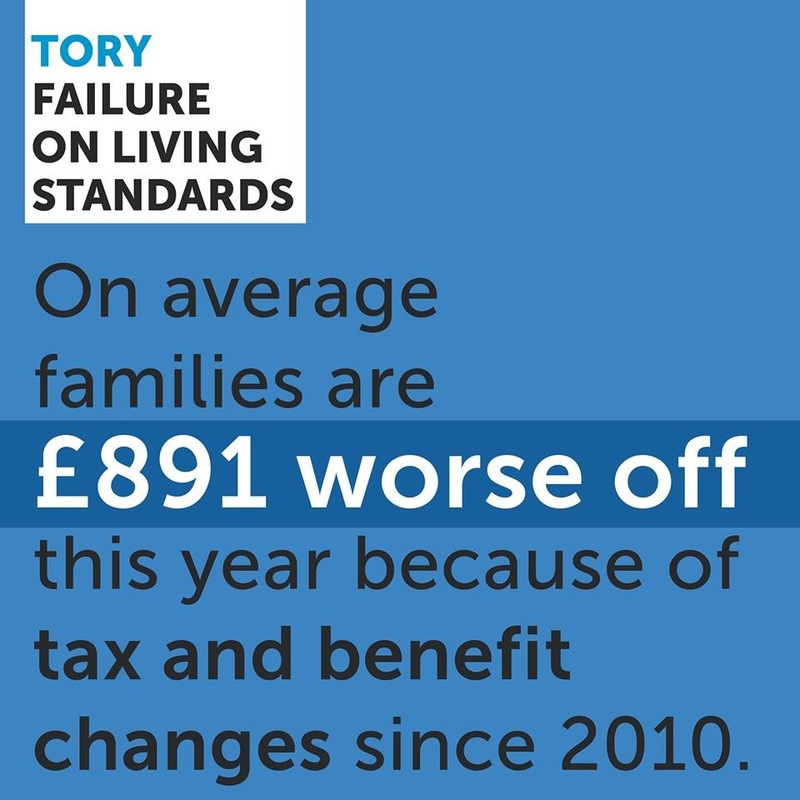 Families either have to pay at least £14 a week more or find alternative accommodation. Sources close to Mr Clegg admit there is good chance the leadership could be defeated by the motion. Mr Clegg also faces a major protest on the issue outside the Glasgow centre at the opening of the conference on Sept 14. Last week Lib Dem MP Andrew George branded the tax as “absurd”. Has anybody noticed of lately when the leader of the pack is not around during the day many of its siblings comes out to play at night, they cause havoc by tuning up to undermine its leader of the pack. Well no sooner as Ed Miliband goes on his holidays all havoc lets loose various quotes comes out to play some Labour MPs will argue that’s healthy debate whilst many others will keep quite as silent rivers run very deep. Now is the time to looks toward Labour Party Conference to see if Ed Miliband is giving a good talk but can he walk, the walk is what many party activists want to know to convince our Labour Supporters to vote. A Repeal of the NHS Bill (evidence here). Commitment to build 125,000+ homes (evidence here). Private Rent Regulation (evidence here). Living Wage for Public Sector Workers & shame private sector into following suit. (evidence here). A minimum 33-40% cut in tuition fees (evidence here). Rail price regulation limiting fare increases to 1% (evidence here). 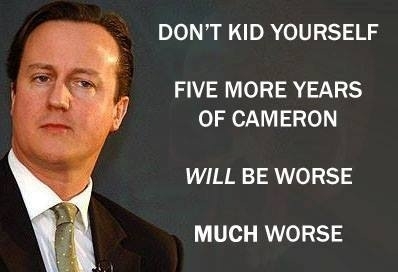 50p rate of tax for Rich (evidence here). Mansion Tax for the Rich (evidence here). Repeat the Bankers’ Bonus Tax (evidence here). Reversal of #BedroomTax (evidence here line 25). 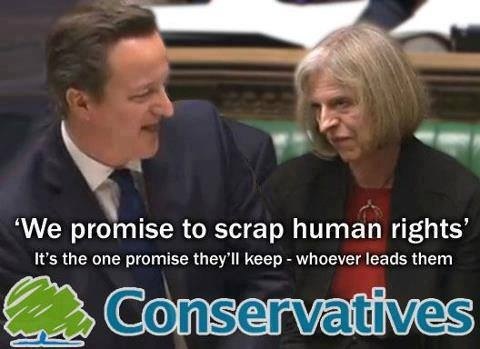 Workfare Scrapped & replaced with ‘compulsory’ Jobs Guarantee (evidence here). Either a VAT cut or a ‘temporary’ VAT holiday (evidence here). Implement the entire report of the High Pay Commission (evidence here). Scrap Ofgem and introduce proper energy price regulation (evidence here). Support for Clean Coal Technology and Mining Communities (evidence here). Break up of Banks & Establish a State Owned Investment Bank (evidence here). Former Chef Whip Graham Stringer and Shadow Health Minister Andy Burnham and other Labour Parliamentarians has echoed some of the concerns in the wider labour movement which I have to give them credit for saying it which I fully endorse as it brings with it a healthy debates. However, I would like to put the question to all my critics if you were in opposition how many would release an early manifesto then have to retract it? Firstly, in 2014 should see a clear indication as to where Labour Party will be heading in regards to winning back the voters to vote Labour. They will need to get rid some of the baggage that is really holding voters back from coming out to vote because of all the infighting from certain MPs to jockeying for positions which is true with all the political parties. Secondly, the reason why I don’t take some opinion polls seriously is simple it has a trend to go up and down. One minute it says Labour will not win then the pollster often comes up with the results that the press pays them for which is the same is true with all the political parties who hires pollster to predicts the outcome of elections. Thirdly, this no way speaking against the leadership of Labour Party if it is to win the 2015 elections there must be very clear policies which voters can comprehend and activists can help convince why Labour is in a position to gain the trust of the voters. Welfare cuts that are meant to get the jobless back to work are driving down the living standards of hundreds of thousands of people who are in no position to find a job, an assessment of the Coalition’s welfare reforms says today. Researchers, who have used data to forecast what will happen to the 1.18 million households where no one works, have calculated that 155,000 (roughly one in eight) can mitigate the effect of the cuts by finding work near their home, while another 115,000 will have the opportunity to move to more affordable housing. The rest – more than three-quarters of the total – will simply see their incomes drop, according to an independent study carried out for the Local Government Association by the Centre for Economic and Social Inclusion. The effects will be felt all over the country, with fears that, were councils to make up the shortfall in benefit expenditure, it could force them to cut spending on roads, refuse collections and care for the elderly. The planned cuts in housing benefit are most likely to affect the South, where housing costs are higher. The study calculates that most families on benefits will receive £1,615 a year less than they would have done under the old system – except in London, where high housing costs will reduce the incomes of households on benefit by £1,965 a year. In Westminster, in the heart of London, the average loss will exceed £5,000 a year. Government ministers have been keen to stress that social security reforms are not supposed simply to be a cost-cutting exercise. They are also meant to encourage people to find work, for example by eliminating anomalies that mean that some people are actually better off at home claiming benefits than if they were in low-paid jobs. 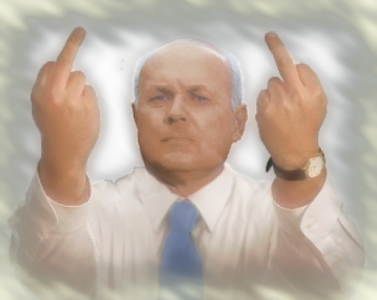 This Iain Duncan Smith who wants to privatize the DWP and give you the crumbs off the table. “Welfare reform is about much more than saving money, vital though that is,” the Chancellor, George Osborne, told MPs in June, when he set out this year’s Spending Review. “It is about reducing dependency and changing people’s lives for the better … Where is the fairness in condemning people to a life on benefits because the system will not help them to get back into work?” However, researchers examined the potential impact of the reforms in areas covered by 325 local councils, and found that, in 314 of them, most of the savings would come from reducing benefits paid to households where somebody works – especially in the North, where wages are lower than the South. Overall, the social security reforms will save taxpayers £11.8bn in 2015-16, but it is reckoned that 59 per cent of that will come out of 530,000 households where there is someone working, compared with 41 per cent coming from 1.18 million households where no one works. Almost half of the total savings, £5.3bn, will come from a tightening up of tax credits. The parts of England where the reforms will hit hardest are the North-east, Lancashire, the central North-west, Birmingham, parts of London and coastal towns such as Great Yarmouth, Scarborough, Plymouth and Torbay. Councils will be able to make discretionary payments towards the housing costs of families affected, but the £155m that the Government has made available represents just £1 for every £7 that tenants have lost. The TUC’s general secretary, Frances O’Grady, said: “The Government has tried to sell its welfare reforms on the back of mistruths and nasty stereotypes. However, this research exposes what a devastating impact its policies are having on communities throughout the country. A DWP spokesperson said: “Crucially this research, as the LGA itself acknowledges, doesn’t take into account the combined impacts of the Government’s reforms, including the raising of the personal income tax threshold, and the benefits of Universal Credit which will make 3 million households better off. 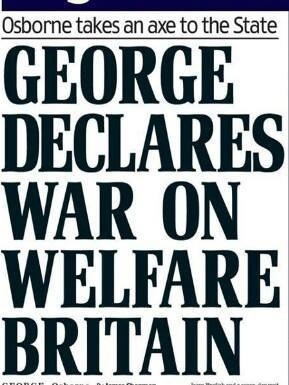 Most benefits now paid to welfare claimants are being phased out. Six of the main ones, including the jobseeker’s allowance, income support, tax credits and housing benefit are to be merged into one, called universal credit, which will be paid monthly into a bank account. Disability living allowance is being abolished for all adults under 65, and replaced with a personal independence payment. Claimants will not be assessed on how serious their condition is but on how it affects them. 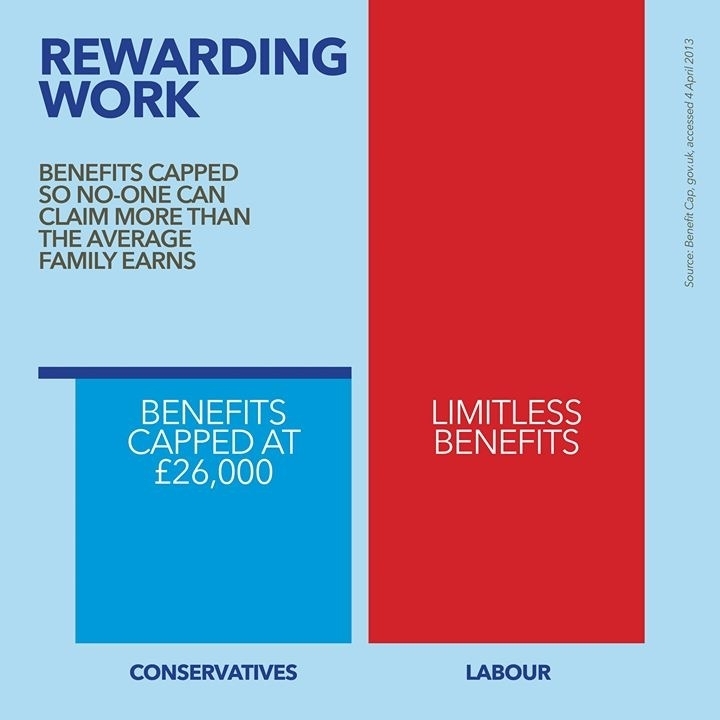 There is also to be a cap on the total amount of benefits that can be paid to one family, equal to the average wage for working families, or £26,000 for a couple or single parent with a child, which will apply equally everywhere, regardless of the cost of housing. The so-called “bedroom tax” applies to tenants living in homes with more bedrooms than the Government thinks are necessary – with children under 16 of the same gender and all children under 10 expected to share. This is not strictly a tax, but a cut in benefits. One “extra” room will cost the tenant 14 per cent of their housing benefit. Two or more will cost 25 per cent. All must be specific, measurable, achievable, relevant, and time bound. I would be very concerned with the mantra of the Big Society should help the Conservatives win the elections from next year onwards or the worst that could happen if the coalition decides to call an early general election which team Labour should be ready at a moment’s short notice. here are many people who want to know if the year 2015 be a landslide victory for Labour the answer from me is it can be achieved if we all do our part by contacting as many of your friends relatives and colleagues to continue to vote for Labour from 2014 the manifesto will be ready for people to read via Labour website. I keep referring to the phrase “pick sense out of nonsense” to all my opponents as they lack the comprehension as to why I will continue to promote a Labour Government this for the simple fact I have more faith in Labour than a coalition that will bring down this country to its knees. Already the many has seen the increase attacks on our welfare state, lack of social housing, boom and bust which happen on the coalition watch and they cannot continue to play the blame game as the record has become much scratched and they need to change their tune. 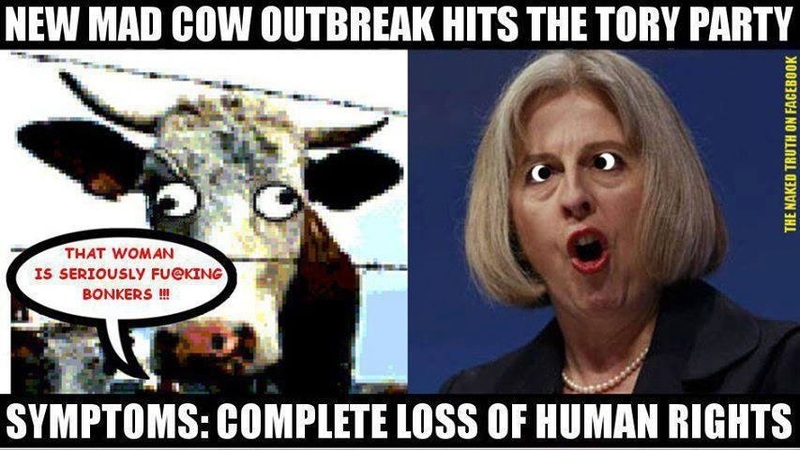 Teresa May has been lining herself up with the right wing of the Conservatives for a leadership contest with David Cameron should he lost the 2015 elections it’s no wonder why she has been accused of a “cover-up” after she used legal powers to keep parts of a critical inspection into UK border controls secret. Chris Bryant, shadow immigration minister, said: “Yet again the Government refuses to be straight with the British people about immigration and our borders. “This cover-up and the failure at our borders provide yet more dents in this Government’s much-tarnished credibility. “What possible reason can there be for redacting elements of a report by a highly-respected independent inspector? “If Theresa May thinks Mr Vine’s report would imperil national security or provide ammunition for illegal migrants, she should share the full report with the Home Affairs Select Committee and ourselves and explain why the full report cannot be published without masses of redactions. In unredacted sections of the report, Mr Vine warns that thousands of illegal immigrants attempting to sneak into the UK through France have not been fingerprinted by border officials for nearly four years. In addition, it reveals that Border Force – the Home Office law enforcement wing stationed at ports and airports – is fining drivers and firms guilty of bringing in illegal immigrants at way below the maximum allowed by law. Mr Vine reveals that border staff remain concerned over the effect of the so-called Lille loophole, which effectively exempts some passengers who travel to Britain via Lille, in France, on Eurostar trains boarded in Brussels, Belgium, from UK Border Force immigration checks. But this section is also among those partly-redacted by the Home Secretary. Keith Vaz, chair of the Home Affairs Select Committee, said: “I am concerned that the Home Secretary has decided to redact part of the findings related to the ‘Lille Loophole’, despite John Vine finding that some were still able to reach Britain using this method. Ukip leader Nigel Farage said: “It is extremely concerning that a report into the operations of our border security is being censored by the Home Office. Alp Mehmet, vice-chairman of campaigners Migration Watch UK, said: “Security concerns may have led to some of the redactions in the report but it is difficult to see this as the reason for all of them. So-called juxtaposed controls were first set up in 1994 to speed up entry and exit procedures on the Channel Tunnel route and were later introduced on the Eurostar route in 2001 and at the ferry ports in northern France in 2003 to counter the significant number of undocumented people arriving in the UK. In the 12-month period from September 2011 to August 2012, more than 8,000 illegal immigrants were caught and stopped from entering the UK in vehicles and other containers at juxtaposed controls at Calais, Coquelles and Dunkirk. In January 2010, border officials ceased processing – fingerprinting and photographing – illegal immigrants caught in at Calais due to problems with the availability of cells to hold them in. This was also later stopped at Coquelles. Fingerprinting and photographing immigrants caught hiding in the backs of lorries and other vehicles could prove crucial in testing the quality of their asylum claims if they arrive in the UK in subsequent attempts, Mr Vine said. The chief inspector said there was “considerable room for improvement in complying with guidance and procedures”. Mr Vine added: “I also find it surprising that people found attempting to enter the UK concealed in freight vehicles are no longer fingerprinted by Border Force at Calais or Coquelles. Mr Vine found the Civil Penalty Scheme, which fines hauliers and drivers who allow illegal immigrants to enter the UK, was not being used to its full potential. 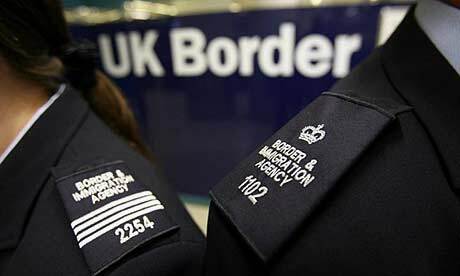 Although the maximum penalty that Border Force could set was £4,000 per illegal immigrant found – £2,000 to the driver and £2,000 to the carrier – the inspector found that none of the fines imposed were “remotely close” to this maximum. A Home Office spokesman said: “In accordance with the UK Borders Act 2007 the Home Secretary, in consultation with the independent chief inspector, is required to redact any material which, if published, would be prejudicial to the interests of national security. Commenting on the public findings, he said: “This report shows Border Force, through excellent working relationships with the French and Belgian authorities, continues to prevent those with no right to enter the UK from doing so. “John Vine acknowledges the high level of security checks and the courteous and professional approach of Border Force staff. Immigration minister Mark Harper acknowledged it was useful to take fingerprints of people who try to sneak into the UK illegally but said border officers have to strike a balance with carrying out other tasks. He told BBC Radio 4’s Today programme: “It would be useful but equally it consumes a large amount of time for our officers to do that when they could be using that time to carry out other tasks to secure the border and it’s a balance, and the decision that was taken in 2010 was to work very closely with our French colleagues for them to process people trying to enter the United Kingdom illegally. Mr Harper said Mrs May uses her power to redact reports in the name of national security sparingly. He said: “I think if you look at the history of the reports that the chief inspector’s produced I think it would be fair to say that a number of them have previously been very critical for example of the UK Border Agency, in some cases very critical. Thirdly, if Labour doesn’t come up with the goods then they too stand to be casted back into the wilderness until they can come up with a decent manifesto there are many in Labour would like to emulate what Tony Blair achieve but for that to happen they need to learn the lesson of the past from both Blair and Brown leadership and hopefully we see a new brand in Milibandism. 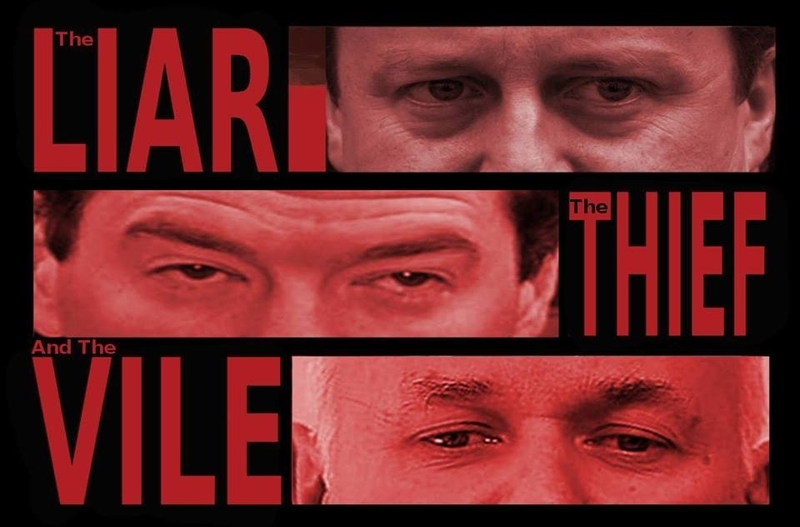 The Tories are back in business, Ed Miliband‘s in crisis, and David Cameron is striding purposefully towards a majority in the 2015 General Election. That’s what the papers say, with Labour’s trade union spats, an improving economy, and Abu Qatada’s deportation all cited in evidence. On Tuesday, the Daily Telegraph even reported senior Tories’ confidence that they were on a ‘glide path’ to victory. And Ladbrokes said 70% of election bets in the past fortnight had been for the Conservatives. Is it really so simple? Not according to respected polling experts at the University of Nottingham, who believe the true picture is different to the “Westminster Village narrative”. A blog post by academics Robert Ford, Will Jennings and Mark Pickup scoffs at suggestions that Labour’s poll lead is collapsing, saying its support is up half a point on the previous month, to 38.1%. Ladbrokes have Labour as 5/4 favourites for a majority, with the Tories 3/1, and a hung Parliament at 13/8. Meanwhile, with MPs away for the summer, Westminster’s pundits are busy speculating on the outcome of the 2015 poll. A Twitter tussle between Huffington Post UK’s very own political director Mehdi Hasan and Telegraph blogger Dan Hodges tempted political heavyweights at the Sun and the Daily Mail into pledging money on the result, while former Tory MP Paul Goodman, executive editor of the influential ConservativeHome website, said he did not think Cameron could secure an outright majority. Even Lord Ashcroft, the former Tory donor and deputy chair weighed in, as did CCHQ’s Ric Holden. The mistake journalists make in doing this is to assume that the average voter pays attention to the same issues they do. The union row which so excited the Westminster Village barely registered with voters. Less than a fifth of the members of McLusky’s own union could recognise the man at the centre of the row (many thought he was Sir Alex Ferguson)…It is therefore no surprise to anyone except the political media to see that Labour’s poll share has not budged at all in the wake of these supposedly toxic feuds. If you recently were made redundant, lost your job, company gone bust or had to relocate through no fault of your own and had to sign at the Job Centre Plus don’t expect any help from them. They will issue you with a piece of paper and tell you to get on with it. This is what the Job Centre Plus has come to under the Welfare Reform. Some of my friends has experienced this already I kid you not. They were told as new applicant(s) they will have to go online to fill out their form(s) to get any form of benefits which includes Council Tax and Housing and a telephone number to call. Everything including social funds is included in this piece of paper. There are 41 telephone numbers not so funny is all of them begins with 0800 or 0845 numbers so if you have a mobile phone it rakes up the bill on your mobile. This is no word of a lie if someone has a pay as you go mobile by the time you are put on hold bobs your uncle your credit has ran out that is before you have spoken to anybody on the other line. This coalition does not really care about people unless you happen to be a rich donor to the conservatives and in return you will have a dinner party with David Cameron at a location of your choice. Intriguingly there are many people are in fear of the theory of the Jaws of Doom as they fear if the say something that is in support of or against then their employers may get wind of it then ask them to leave. Well it’s not surprise as some of my friends are on a zero contact and they don’t want to rock the boat with their employers as it’s almost like being unemployed. Such pragmatism led the veteran councillor to acknowledge this year that some of David Cameron’s ministers had gone further than the last Labour government in devolving more power and funds to cities with a variety of “city deals“. There is one exception: communities and local government secretary, Eric Pickles. Speaking more in sorrow than anger, Bore acknowledges a “standoff” between big cities and a minister who has lopped £5bn off council budgets in England over the past two years, with potentially worse to come. The trauma from that unprecedented cutback will soon be felt in places, such as Birmingham, where Bore says whole services face the axe. England’s second city is under the cosh. Multimillion-pound funding to the world famous City of Birmingham Symphony Orchestra, and the Birmingham Royal Ballet, is not secure beyond this year. Even statutory services, such as children’s and adult care, could be cut to the bone. Where will it end? Bore, in his second spell as council leader after a break of eight years – when Birmingham was run by a Con-LibDem alliance – will soon launch an extensive consultation across the city of more than a million people, with public meetings, and much else, to illustrate the budgetary dilemma. The only certainty is that the city will never be the same again. Shortly afterwards, the normally cautious Core Cities Group of the country’s eight largest cities, including Birmingham, warned Pickles of a looming financial crisis in anopen letter, with the prospect of some key services being decommissioned from next year. In many ways Bore is the ultimate pragmatist. A physicist turned long-serving city politician, he played a big part in Birmingham’s central transformation in the 80s and 90s, and has a long record of deal-making across the political divide stretching back to his days as chair of the city’s economic development committee. Bore took a cross-party delegation to meet Cameron last year, out of which grew a renewed association with Lord Heseltine, a long-time admirer of Chamberlain’s municipal Liberalism which transformed the city with council-run gas, electricity and water, public health provision, banking, and a progressive education and public health system. Birmingham, England’s largest local authority, can only dream of having such powers today. Heseltine chose Birmingham to launch his Downing Street-commissioned review in November into improving the country’s economic prospects. Last month, Heseltine completed another report on improving the economic prospects of Birmingham city region. It made a series of recommendations, from creating a city-centre enterprise zone – now becoming a reality – to an accelerated drive to tackle poverty and deprivation. This won’t be made any easier by the government’s welfare reforms, which are set to have a huge impact on the city. Close to 15,000 households in Birmingham will be affected by the “bedroom tax” and more than 20,000 residents are expected to lose an average of £88 due to the benefit cap, according to a report that went to councillors this week. 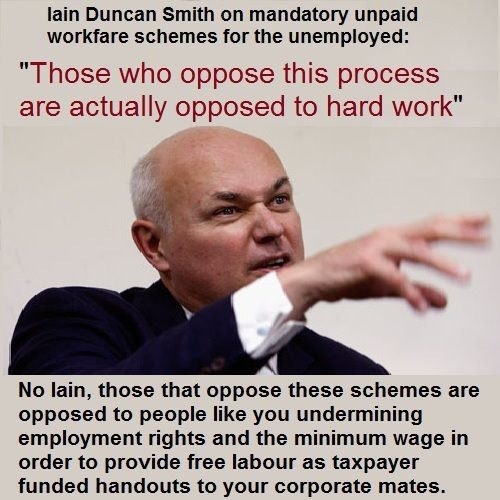 Interestingly, Iain Duncan Smith of happy notoriety has told us he could live on £71 jobseeker’s allowance if he had to. Many people who are on benefits don’t believe that for a second, and he wouldn’t dare trying to do it. He’s also told us everyone should get a job and stop whingeing. So how would he get a job in Salford, Hull, Rochdale and the Wirral where last month 76 unemployed persons were applying for every vacancy? It’s easy enough in Cambridge, Guildford, Winchester and Reading since nine out of the 10 easiest areas to find a job are found in southern England. Perhaps he’s never looked around northern England before he fires his peashooter giving us the benefit of his advice. The elementary observation which seems to have escaped IDS is that what pushes up unemployment is not shirkers or skivers refusing to take jobs, but the sheer lack of vacancies in areas of low economic activity and poor growth prospects. Almost half (46 per cent) of all UK job vacancies were in London and south-east England last month. The comparable figure last month in north-east England was just 3.3 per cent and in Wales 1.7 per cent. The real fault here lies with the Tories’ crass economic policy squeezing the economy ever harder in the interests of a deficit-reduction programme which isn’t even working. The fault lies with the abandonment of a full employment policy with all the investment required to launch and maintain it. And the fault lies too with the exacerbation of the regional divide through cosseting the City of London and neglecting manufacturing. 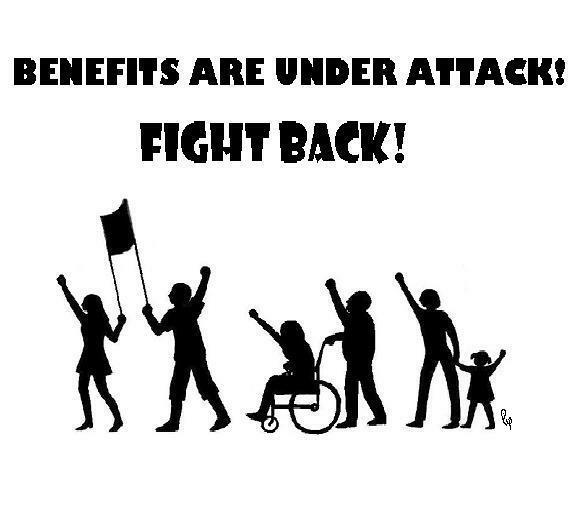 This policy of punishing people for living in northern England in areas of high unemployment is made even worse by the wicked cruelty of cutting or removing benefits even from severely disabled people who would be hard put to it to get an employer to take them on even in conditions of near-full employment. Those who were previously on incapacity benefit are now being assessed at the rate of 11,000 a week, often in cursory interviews without consulting the person’s GP, and then declared able to work. As if that were not enough, an Atos manager-turned-whistleblower has now testified that often when he came up with the “wrong” assessment, he was told to amend his report – ie declare them fit for work. In other words, severely disabled people who could not possibly get work even at the best of times are being told they’re fit for work in areas where the number of vacancies is pitifully small, where they have several able-bodied competitors and where government policy has overwhelmingly driven jobs south. Come on, IDS, show us how it’s done by getting on yer bike, riding north, perhaps with a disabling injury incurred on the way, and then try getting a job. And if you can’t, stop victimising the jobless and disabled – and get a new chancellor who believes in job creation, not job destruction. They’re all at it. It’s not just Starbucks, Google and Amazon that are running rings round HMRC and the tax laws, it’s virtually all the top UK 250 companies which are deliberately cheating taxpayers of the tax receipts due. No less than 98 per cent of the FTSE 100 companies have a subsidiary in a tax haven, the only purpose of which is tax evasion or avoidance on an industrial scale. Yet another massive tax scam was exposed only last week, this time involving Britain’s largest mobile phone network – Everything Everywhere (EE) – which scooped up £3 billion profits for the French and German companies that own it, but paid not a penny in corporation tax in Britain. Vodafone, O2 and Three are little better. EE defends itself by saying “its accounts are transparent and it takes a responsible approach” (UMG – the usual meaningless guff). How do they get away with this? Largely through tax breaks, management fees, royalties and offshoring. But probably the most important ingredient in all these tax fiddles is opacity which enables their manoeuvres to remain hidden. Yet there are ways to counter all of these dodges. First, there needs to be a legal requirement that British multinational corporations must publish the accounts of all their subsidiaries on public record, and certainly on their own website. Second, the most direct way to tackle the opacity in the tax affairs both of large companies and of super-rich individuals in Britain is to require by law that the tax returns of the top 250 in each group should be put on public record, as already happens in Scandinavian countries. Michael Meacher has accordingly laid before the Commons the UK Corporate and Individual Financial Tax and Financial Transparency Bill, drafted by Richard Murphy, one of Britain’s foremost tax specialists, which will achieve both these objectives. The Bill is due to receive its second reading on September 6. HMRC has commented on this that “HMRC officials cannot discuss the details of the tax affairs of identifiable taxpayers – individuals or corporates – except in limited circumstances set out in legislation. “Our legal advice is that if Parliament requires HMRC to discuss the tax settlements of named companies, a change would be required to the primary legislation governing HMRC.” Quite so. That is the purpose of my Bill. There are several other needed changes in this Bill. It requires for the first time that the details of beneficial owners be submitted by each company to Companies House. Because some unscrupulous company executives/owners won’t voluntarily comply with this obligation, the Bill also requires banks to collect under money-laundering obligations the real trading address of a company, who its directors and beneficial owners are and where they are located, and then submit this information to Companies House which would then publish it. The sanction for failing to comply would be to remove the limited liability of the company and the directors and beneficial owners would then personally become liable for its debts. The impact of all these measures would utterly transform the sickening scandal of corporation tax today. In another interesting development Bank of England governor Mark Carney has said the Bank will not consider raising interest rates until the jobless rate has fallen to 7% or below. Speaking to chief economics correspondent Hugh Pym, he said such guidance was needed “so that people… at home, people who are running businesses, across the UK, can make decisions – whether they are investing or spending – with greater certainty about what is going to happen with interest rates”. The governor told our correspondent that such a move was needed now “when the recovery is just gathering some steam”, and when financial markets might have therefore been expecting an adjustment in interest rates. The Bank’s guidance is subject to three provisos; breaching any of them would sever the link between interest rates and unemployment levels. The move sees the Bank of England joining both the US Federal Reserve and the European Central Bank in providing so-called “forward guidance” on interest rate policies. While upbeat on the prospects for the UK economy, Mr Carney said it had not reached “escape velocity” yet. “A renewed recovery is now under way in the United Kingdom and it appears to be broadening,” he said. “This will give businesses a much-needed confidence boost when looking to invest, as they know that any plans will not suddenly be derailed by a hike in interest rates,” he said. But Alan Clarke, director of fixed income strategy at Scotiabank, said unemployment could drop below 7% – the rate that would trigger a re-evaluation of interest rates – well before the Bank of England expects. Knowing interest rates could remain low, potentially for years, gives banks and mortgage lenders the ability to “lock-in” customers at lower rates for longer. Stocks fell after the announcement, with Joshua Mahony, research analyst at trading firm Alpari, saying markets had been underwhelmed by Mr Carney’s announcement. He added that rules about the circumstances in which the strategy would be terminated had brought a “significant caveat to the table”. “I agree with you that forward guidance can play a useful role in enhancing the effectiveness of monetary policy and thereby support the recovery,” he said in a letter to the governor. Shadow chancellor Ed Balls also applauded the decision but warned it would be “very important that the MPC [Monetary Policy Committee] stays vigilant to inflationary risks”. But pressure group Save our Savers expressed “dismay”, saying it would cause further hardship for savers and pensioners, while continuing to favour borrowing at the expense of saving. Meanwhile, Graeme Leach, chief economist at the Institute of Directors, said guidance “doesn’t really take us forward” and called for radical supply side reforms to bring on a surge in productivity. The Bank of England’s quarterly inflation report was more upbeat about economic growth than it had been in May. It presents its forecasts as a range of possibilities rather than a specific figure, but predicted accelerating growth for the rest of this year, with its central forecast being for growth of about 2.4% in two years’ time. At the press conference where the new policy was announced, members of the Bank’s MPC were asked whether they were concerned by claims the government’s Help to Buy scheme was fuelling another housing bubble. “The current run rate of [Help to Buy] is something like 3% or 4% of total housing transactions,” he said. 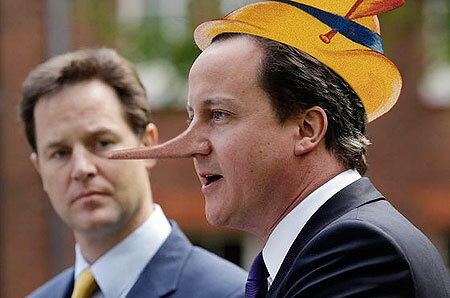 Who is telling porkies over bedroom tax? As parliamentarians and councillors take leave for the summer recess there are many who cannot afford a basic holiday with their children or their love ones driven by many factors which in most cases are out of their control. I have seen many of my close friends who cannot afford to pay their mortgage or rent owing to some companies going bust, liquidation, or they have been put in the scrap heap and they had to downsize and heavily became dependent on food banks which has become more frequent, in some cases they had to move out of London and surrounding areas to relocated to the West Midlands Region and other parts of the country whilst they still try to hold their families together by looking for alternative employment. Lucky for some of my friends they have managed to form new alliances within the new communities that they have move into whilst some cannot accept the change of their new-found lifestyle and had to receive counselling for depression. I would not wish my worst enemy the faith that some of my friends and relatives had gone through since the coalition came to power. This coalition continues with their mantra of attacking young single parents and the unemployed to get a job. There are many people who are on long-term unemployment some who would love the challenge to gain full-time employment who are doing something about it by returning to college to learning new skills but are constantly being put down by this coalition as work-shy. Is there no stopping this coalition as they target young single patent as they try to get on the social housing list only to be informed by social housing landlords there is no flats or homes for you. What has this country has come to dog eat dog attitude. Many people have known for some time that the Bedroom Tax would not work as this coalition got it wrong they continue to make us suffer and there is not enough one room accommodation as this coalition failed to build more affordable social housing which includes the previous Labour Government. Recently a group of disabled people took their case to court and I understand they lost their case over Bedroom Tax. My hope is that the groups in concern use tact by continue with their fight and start to lobby all the political parties to make changes to Bedroom Tax and remind politicians about disabilities power and your vote counts in all the elections. 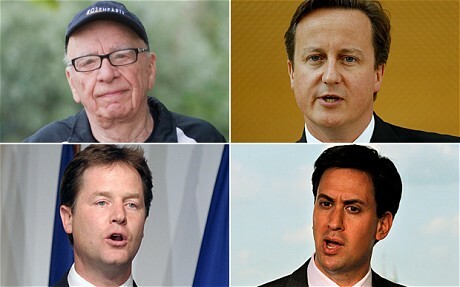 Where do they stand on Bedroom Tax? Where do they stand on building more affordable social housing? Where do they stand on Illegal immigrants being advertised on ad vans? Where do they stand on Welfare Reform? Where do they stand on getting long-term unemployment by helping them to get back to full-time employment and zero contracts? The Government’s justification for its controversial “bedroom tax” has been debunked by new figures showing that up to 96 per cent of those affected have, in effect, nowhere to move. The figures published today in The Independent expose the false argument behind ministerial attempts to spin the move as ending the “spare-room subsidy”, and confirm campaigners’ claims that it merely penalised poor people. The policy means that tenants have their housing benefit reduced by 14 per cent if they have one spare bedroom, and 25 per cent if they have two or more spare bedrooms. Liam Byrne, the shadow Work and Pensions Secretary, said: “The big lie behind this Government’s spiteful bedroom tax is now plain for all to see. Ministers like to claim it’s not a tax, but the truth is more than 96 per cent of those hit have nowhere to move to. The situation is affecting local authorities around the country. In Birmingham, 13,557 households are affected by the bedroom tax, but just 368 one and two-bedroom properties are currently unoccupied. In Cornwall, meanwhile, there are just 65 one and two-bedroom homes and more than 3,300 people eligible to be charged for under-occupancy. In Sefton, Merseyside, more than 3,600 people were competing for 18 available one and two-bedroom properties at the time of the FOI. Kevin Appleton, income manager at One Vision Housing, which manages Sefton Council’s waiting list, said that the situation was now even more stark. “As of today we’ve got 8,360 people on the waiting list. Of these, 4,859 want one-bedroom homes and on this week’s adverts we had just six available. It’s making life very hard for people whose lives were hard anyway. The demand for three-bed properties has fallen through the floor,” he said. More than half of those affected by the policy have a disability – and campaigners say they will appeal against last week’s High Court decision that it did not discriminate against disabled people, who often need an extra room in which to sleep alone. The Government announced last Tuesday that it would increase the emergency funds available for those affected by increased housing costs by £35m. But the handouts, known as discretionary housing payments, are a fraction of the millions needed to cover people’s shortfall in rent. While the DWP argues that social housing tenants who want to downsize could instead spend their housing benefit on private accommodation, there is already a major shortage of small, cheap private accommodation. It would also defeat the cost-cutting aim of the whole policy, since the housing benefit payable for a private one-bedroom place is often more than for a two-bedroom council house. Saving enough for the deposit needed for private housing is a further issue – and a near-impossibility for those already struggling with rent arrears because of the bedroom tax. Since the introduction of the bedroom tax, thousands of families in the Cotswolds have been trapped in larger properties that they are penalised for by the new charge. In Wiltshire, there were no unoccupied one- and two-bedroom properties at all, for 2,953 affected households, though 48 were advertised as being available shortly. The situation is similar in Gloucestershire, which had just three suitable properties for 540 people. Hannah Smith, 28, lives in a three-bedroom house in Hyde, Cheshire, with children Gracey, 7, and Jake, 6. I’ve always said that this house could be for a bigger family. I’ve been asking on and off for the last six years for a two-bedroom place, but the housing association said it couldn’t happen, so I’ve been stuck here. We had a letter the month before the bedroom tax came in, saying that due to the ages of the children, I’m under-occupying my home by one bedroom and by April we’d have to start paying extra for the rent and also council tax. Now I’m out of pocket £48 a month. It’s stupid because they wouldn’t move me. I’m already more than £200 in arrears and it’s only been a few weeks. They won’t let me apply for a new two-bedroom place because I’m in arrears. But I can’t clear my arrears because of the bedroom tax. It’s crazy. On the estate where I live, two-bedroom properties are very rare. Everybody is going to be queuing up for them now. You have to juggle paying your rent and getting the food in for your children. I haven’t had to use food banks yet, but I may have to. I’ve worked in a shop and as a care assistant, but not since I was left on my own with the children. Declining seaside towns around Britain are suffering “severe social breakdown” as they becoming “dumping grounds” for people on low incomes or welfare benefits, pushed out from inner-city areas, a report has found. Hotels that once accommodated holiday makers are increasingly being converted into cheap flats for vulnerable tenants. The properties are also being used by councils in wealthier areas as low-cost options for housing children in care, said the Centre for Social Justice (CSJ) think-tank. Their findings show that Britain is spending almost £2bn a year on welfare payments to people of working age in seaside towns. The report, entitled “Turning the Tide”, calls for action to revive the fortunes of seaside towns. It’s time for some common sense when it comes to our public services. 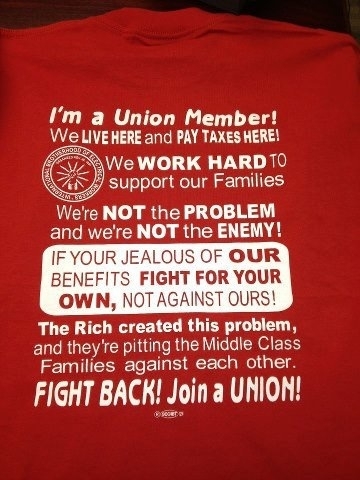 And that means putting to bed the myths and lies that the right have been peddling for 30 years. The Tories and their media allies would have you believe that privately run services are popular, cheaper, higher quality, more efficient, more innovative, more accountable and more able to invest. Every single one of those claims is false. They cannot borrow to invest and innovate as cheaply as the public sector can. Nor can they simultaneously provide a decent service and a fat profit. Something always has to give – and it’s always pay, staffing levels and the quality of service that suffers. Skilled, full-time workforces are hacked back and replaced with inexperienced, untrained staff on minimum wage and zero-hours contracts. That doesn’t just harm the users who suffer a much worse service. 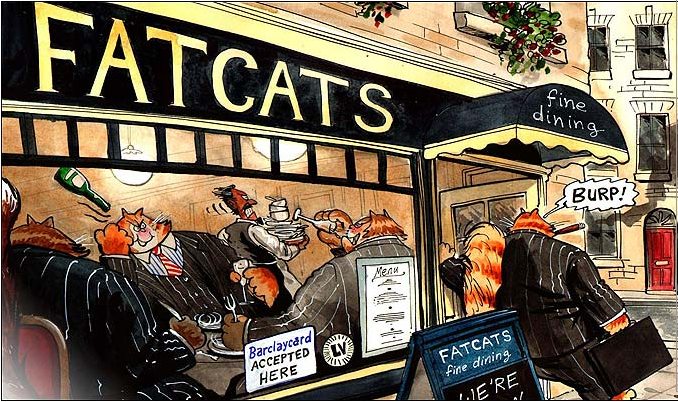 It harms all of us, as our cash which pays for the service gets siphoned off by tax-dodgers and speculators instead of boosting Britain’s economy and our workers’ standard of living. 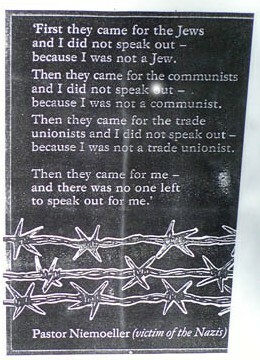 We have seen this happen time and time again. The sell-off of British Rail fragmented the network, hammered services and cost us decades’ worth of expertise in maintenance and train-building. If British Telecom had stayed public we would have had fibre-optic lines in every household a decade ago. Instead the market free-for-all meant that companies focused on squeezing every drop of profit out of our ageing copper cables with barely a thought to research or infrastructure. As a result Britain was left lagging miles behind countries such as South Korea when the internet boom began, and we’re still struggling to catch up. Energy and water firms have cranked up prices while allowing Victorian-era infrastructure to fall to pieces. And the NHS is just one of the legions of public organisations – from the army to the London hire-bike scheme – which are paying through the nose for privateers such as Serco to do a bad, corner-cutting job. Bluntly, there is no economic case for privatisation of any public service, ever. And crucially there is no political case too. Anyone who claims that the public want privatisation, or even that they don’t care either way, is wrong. Whenever politicians condescend to ask voters’ opinion, the answer is always the same – public services should be in public hands, and profiteering from them is wrong. 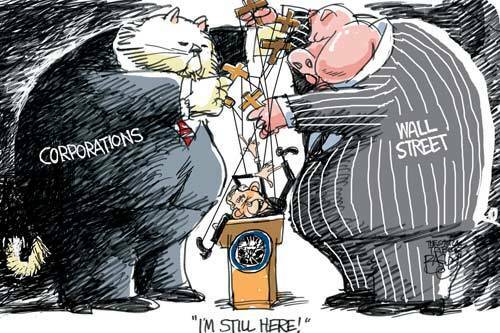 People don’t want the likes of Serco raking in billions for doing jobs public servants used to do. People don’t want the “choice” of a confusing tangle of contracts and options and add-ons, as if health care were like buying a mobile phone. They just want a single, basic, decent, well-funded service available to all. That’s the simple truth that the Tories don’t care about and that Labour has failed to learn. We Own It’s report is a welcome step towards getting the public’s clear wishes back on the political agenda. There are some big gaps in its recommendations. Bringing outsourced employees back in-house is easy enough, and we know that rail can be renationalised at no cost by taking franchises back into public control when they expire. But the report doesn’t touch on the big renationalisations of energy or water, which would come only at the vast economic cost of paying off the privateers or the political cost of biting the bullet and renationalising without compensation. Nonetheless, it’s a welcome rebuttal to decades of Tory lies – and a challenge to Labour to give the public what they really want. Public services in public hands. 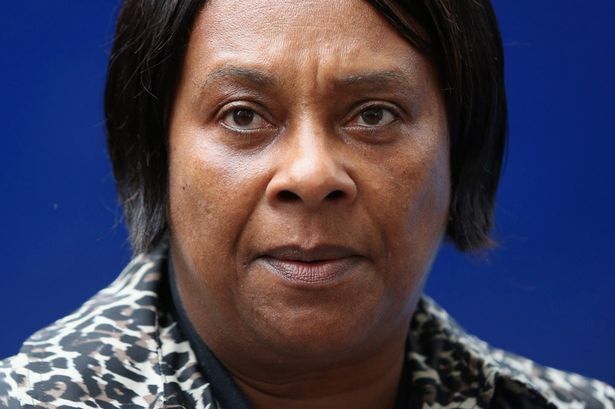 Firstly, I would like to take this opportunity to congratulate Baroness Lawrence and her former husband for the hard work for their struggles to bring their son Stephen’s murders to justice with the support of Labour Movement without the movement this would not have happen without their support and congratulate a Labour Government for implementing the Macpherson Report. Secondly I would like to take a moment to say it’s a bit rich for Immigration Minister Mark Harper to deny the checks used racial profiling which he is basing it on intelligence on spot checks at railway stations across the country If illegal immigrants checks is to be carried out it should be done even-handed not just on one particular race. 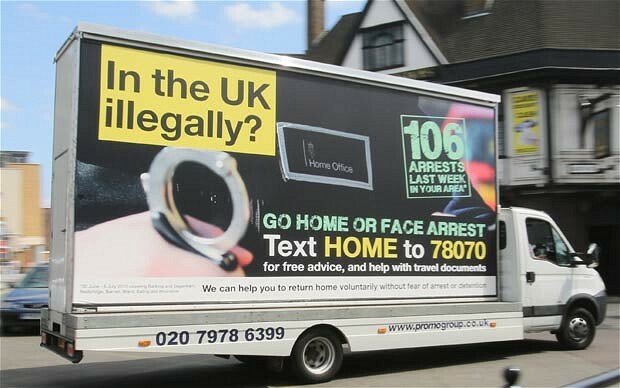 For this reason I’m glad that both Equality Watchdog and Unite Union are investigating to seek if there is a case for “inciting racial hatred”(race discrimination) by sending ad vans around London and Birmingham, Manchester encouraging illegal immigrants to “go home”. Interestingly on the Sunday Morning Live Programme there was a debate on whether we as a nation should do our part in bring more refuges into our country given the UK are encouraging illegal immigration to go home. I find it incomprehensible to see how this will fit into the coalition agenda on the one hand the coalition are funding the Syrian rebels yet our budget is alleged to be tight to the stretching point and there is more people who unemployed, not enough building of affordable social housing. Here is an interesting article from Peter Hitchens the Government’s pretence of being resolute and decisive on immigration is a lie. It is almost as bad as New Labour’s secret decision to transform the country with migrants. Do they really think that hiring a couple of stupid publicity vans, fraudulently claiming that illegal migrants are in serious danger of arrest and deportation will fool anybody? Alas, they do. Suspect passengers: David Cameron is engaged on a slippery and dishonest propaganda campaign over immigration. It is because he knows that you are rightly worried about immigration that David Cameron is engaged on his slippery and dishonest propaganda campaign. He personally couldn’t care less about the problem. He’s even got a Minister – Nick Boles – whose job it is to destroy the countryside. If Britain becomes a featureless concreted-over province in a Multiculti Euroland, he won’t care. He’ll still be rich enough to afford peace and space, when they have become impossible dreams for the rest of us. For him, and those like him among the Relaxed Rich, immigration means cheap nannies and cheap restaurants. For his friends in business it means cheap and easily bullied workers. For his friends in New Labour (whose heir he is and whose seat in power he is keeping warm), it means even more. Unlike Mr Cameron, the Blairites knew what they were doing when they opened our ports to all who came. It’s easy to guess, looking at this collection of 1960s campus revolutionaries, spiced up with unrepentant ex-Trotskyists and ex-Communists, and cheered on by the anti-British London media classes. Controversial: Adverts have been driven around London on vans to encourage illegal immigrants to go home. The opening of our ports had ‘a driving political purpose: that mass immigration was the way that the Government was going to make the UK truly multicultural’. Even this apostle of modernity was a bit worried. ‘I remember coming away from some discussions with the clear sense that the policy was intended – even if this wasn’t its main purpose to rub the Right’s nose in diversity and render their arguments out of date. That seemed to me to be a manoeuvre too far. I happen to think this brief glimpse of the truth was the most important political revelation of our time. I believe the ideas behind it still rule. And in case you’re still fooled by Mr Cameron’s disgraceful pretence, take a look at the Commons Public Administration Committee report on the Government’s noisy claims to have cut immigration. It is devastating. It shows that the figures used by Ministers to claim they are closing the doors are little better than guesswork. Migration into this country, legal and illegal, continues apace. The transformation of Britain into somewhere else accelerates. The official propaganda about economic benefits is mostly tripe (see an excellent analysis in Ed West’s powerful new book The Diversity Illusion). The pressure on schools, GPs, hospitals, housing and transport is huge and growing. We have been betrayed. It is not the fault of the migrants, with whom we must seek to live in harmony. But those responsible, in all the major parties, must be punished for their lies. We were fooled once. It will be our shame if we are fooled again.This message in actual fact has been mainly targeted at students and some people who have over stayed as their visa has expired. It becomes very worrying when the likes of UKIP leader starts to sides with illegal immigrants then we all know what UKIP is pandering to for the short term of border control. This bill board is one of the boldest message in coded to all the Conservatives rank and file to get ready to do battle with the leadership contest between Theresa May VS David Cameron should he does not win the General Election. How many has seen UKIP of lately is sitting on the sidelines only speaking as and when required to put the knife into the Conservatives whist the BNP are regrouping for the Conservatives to do their dirty work. 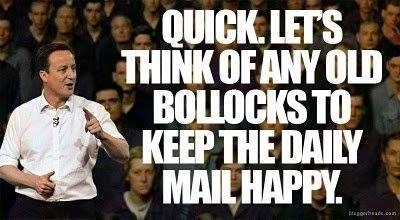 As for the EDL they will come out in full support of the BNP during the election times. It’s no surprise with all the recent cuts in all public services which has led to the short fall of staff in the Immigration and Broader Agencies that pressure are mounting to breaking point with low morale and target driven. I’m sadden by the fact of the root causes of the loophole in the legislations which are not closed is being exploited by criminals and some employers to recruit illegal immigrants and unemployed to zero contracts for their financial gains. Unemployment risks remaining stubbornly at around 2.5 million people over the next few years, leading economists have warned. Forecasters predicted that the number of people without work could remain around the 8% margin and not start going down until as late as 2016, linking it to an inability to exploit the UK’s full productivity and the phenomenon of “underemployment”. Redwood’s gloomy forecast echoed the latest predictions released by the influential National Institute of Economic and Social Research (NIESR), which suggested unemployment would stay at around 8% over this year and the next. “The gradual gain in economic momentum is not enough to close the large negative output gap or reduce unemployment significantly. With unemployment high and no evidence of upward pressure on real wages there is still considerable spare capacity. Underemployment measures suggest that there is even more slack in the labour market than the headline unemployment rate suggests,” NIESR analysts wrote in their latest report. Official analysis from the Office of National Statistics found that the UK economy was still 3.3% away from returning to its pre-recession peak in GDP. According to the NIESR, this would be 1.3% further than predicted and indicate the recession was worse for the UK than previously thought. But in positive news for the UK economy, NIESR lifted its UK growth forecast to 1.2% in 2013 and 1.8% in 2014, noting a “gradual gain in economic momentum”. “The main cause of the improvement in the economic growth outlook is a rise in the prospects for consumer spending growth. This increased contribution from consumer spending is at the expense of household saving, rather than a consequence of rising real disposable incomes,” the analysts explained. Many will agree that immigration has its positive side to our economy where it has boost employment from foreign companies to the UK and export has increases to other parts of the world.